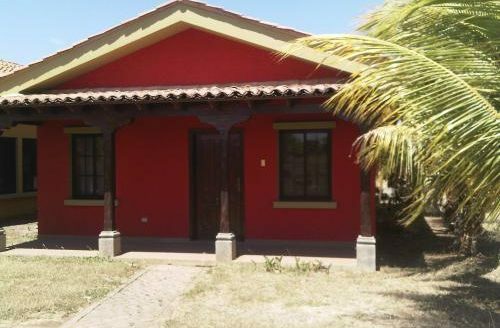 3 bedroom Gran Pacifica Nicaragua house for sale in Pacific Coast Beach and Gold Resort. 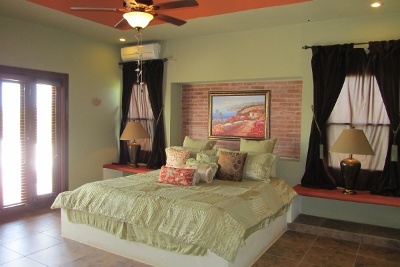 Casa Chocolate is the first model home at Gran Pacifica. 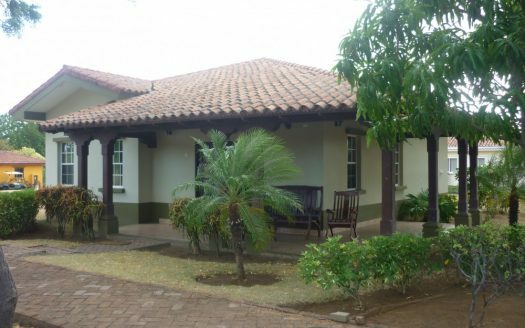 It is located on a quiet street with a green belt median, and near the golf course fairways #8 and #2. 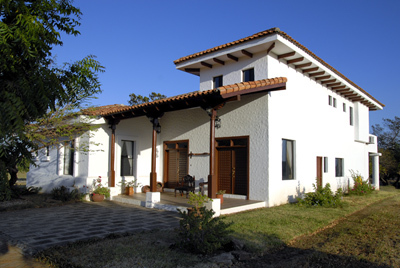 The exterior of the home has a majestic appearance, with white stucco and Spanish styling. 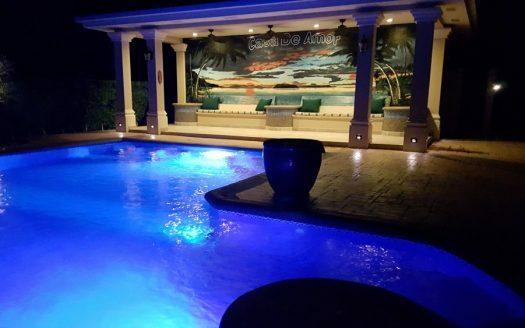 It has a nice pool and circulating equipment, a huge back patio, and an upstairs terrace with views that will take your breath away. 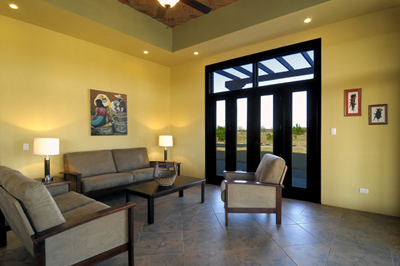 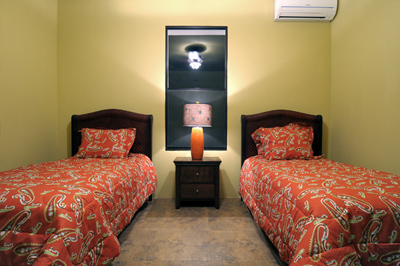 The home is fully landscaped, and is under the care of the rental company. 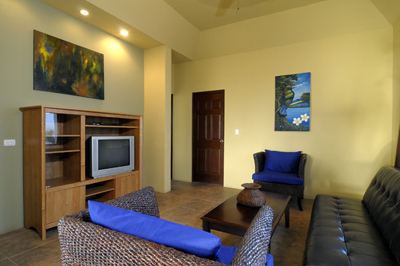 Many families come to Gran Pacifica to rent Casa Chocolate, and this home will give a slice of the good life to its owners and renters. 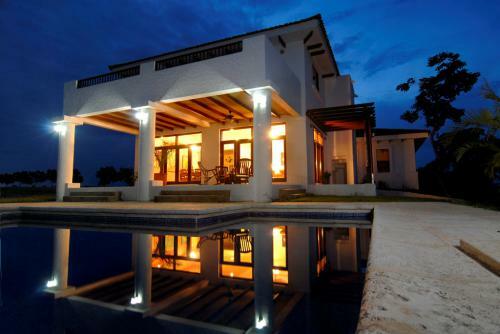 Casa Chocolate was constructed to show the finest in Spanish architecture, with a grand entrance, large kitchen, maid’s quarters upstairs, and an open dining and family room. 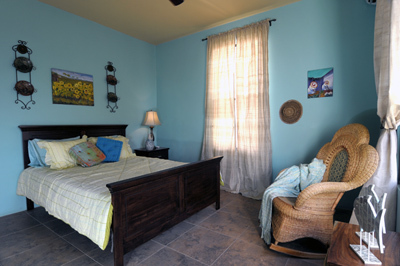 Each of the 3 bedrooms has a bath, and there is a TV room upstairs adjacent to the master bedroom. 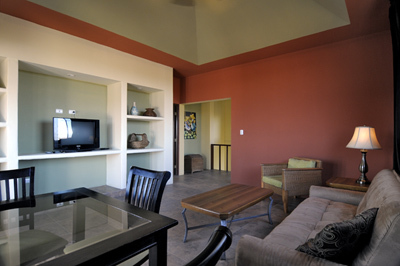 The upstairs area will give spectacular views to the golf course and ocean.